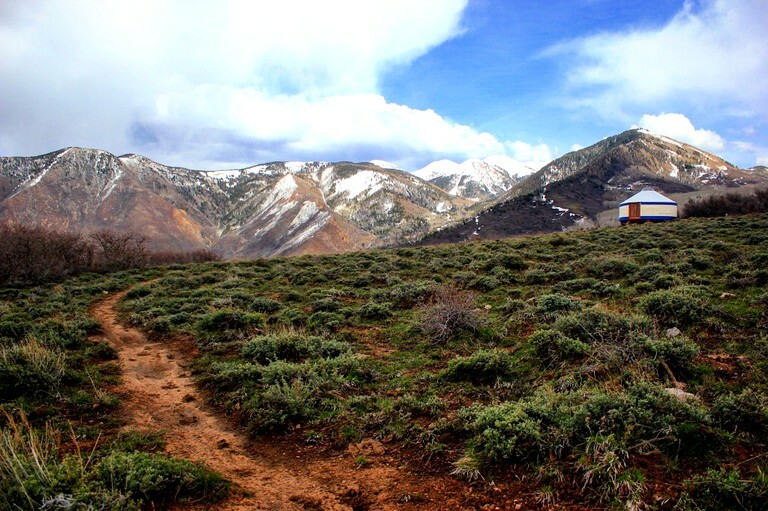 This incredible yurt is located in the mountains near Arches National Park, Utah, and can accommodate up to eight guests. Inside, there are two twin-over-full-size bunk beds and two large cots with sleeping pads. Bedding is not provided and must be brought by guests. 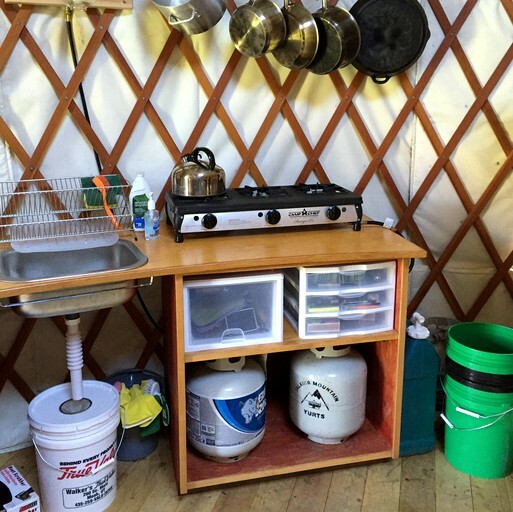 There is also a fully-equipped kitchen area with pots, pans, cooking utensils, bowls, a French press, a drip cone coffee-maker, a kettle, plates, glasses, and silverware. There is also a food storage tote and a three-burner propane cook stove. While staying at this property, guests will be provided with propane kitchen lights and four LED lanterns, along with dishes, pots and pans, cooking utensils, coffee-makers, and all other necessary cooking and eating equipment. 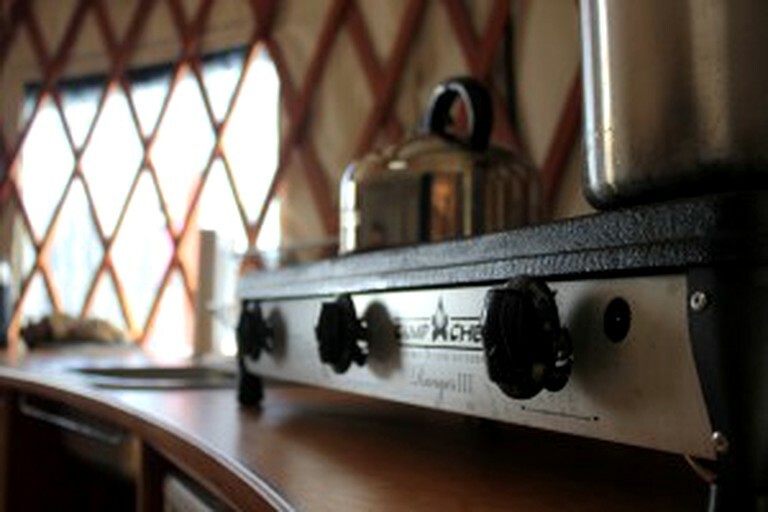 There is also a three-burner propane cook stove with propane and a backup bomb. Food storage totes are supplied and must be used to deter local wildlife and insects. Please note that bedding and linens are not supplied and guests must bring their own. From June to October, guests will be provided with two gallons of water daily that can be used for drinking, cooking, and cleaning. From November to May, guests will be provided with large pots and purifying tablets to collect and melt snow for drinking, cooking, and cleaning. Guests are also supplied with a wood-burning stove, wood, fire-starter, and matches, as well as two fire extinguishers, a carbon monoxide detector, and extra batteries. A splitting maul, hatchet, snow shovels, cleaning supplies, first aid kit, and carts from June to October to carry gear are supplied. There is also an outhouse for guests to use that is already equipped with toilet paper, and guests will enjoy the provided library of books, regional maps, and games. Coolers with ice can be requested in advance; please inquire with the host. While staying in Moab, guests should be sure to visit the Arches National Park where it sits only a ten-minute drive north of the property. This National Park is home to some incredible and delicate rock formations that draw large crowds of admirers every year. Another nearby national park is the Canyonlands National Park, which boasts the Colorado River and Island in the Sky. The Museum of Moab has an impressive range of exhibits that guests may enjoy. The city of Provo is the third-largest city in the state and has the Provo Pioneer Museum and the Bingham-Young University Museum with a more modern venue and incredible art. There is also the BYU Museum or Archaeology and the Monte L. Bean Life Science Museum. Two dogs are permitted on site for an extra fee, however, they should not be left unattended. 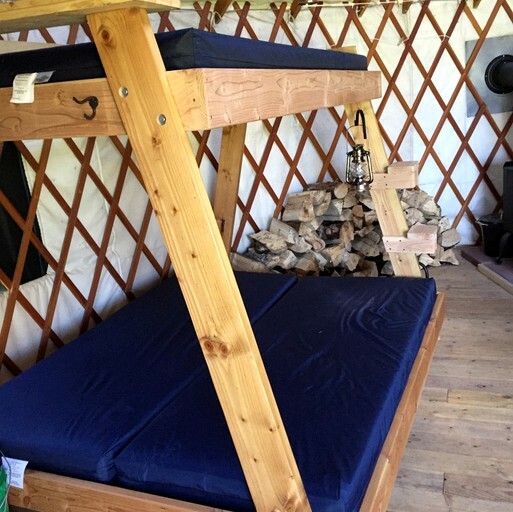 This yurt is only available in the summer.